Create ringtones on Audiko.net! Use an opportunity to download a free Cosculluela ringtones for your iPhone or mobile.  Specify your favorite snippet from your favorite hit - Pusho Ft Cosculluela y Jory Boy - Pa Tras y Pal Frente (Bass, Ozuna Ft Arcangel Brytiago Y Cosculluela - Me Ama Me Odia, Rico La Pasamos Cosculluela Ft Nicky Jam Prod. Dj, or any other track. Then download the prepared Cosculluela ringtones to your device, and enjoy Reggaeton music by Cosculluela every time your phone rings. On Audiko you can obtain your track piece both in the MP3 and m4a formats, supported by both mobile phones and iPhones. Just select a track, and choose free Cosculluela ringtones download option.